Only a fortnight remains before world leaders will head to Paris for the most important climate change negotiations in several years. These talks will hopefully see the agreement of a new global deal on climate change and will be an opportunity, after the appalling events in the French capital at the weekend, to demonstrate continued support for multilateral cooperation to tackle global problems. 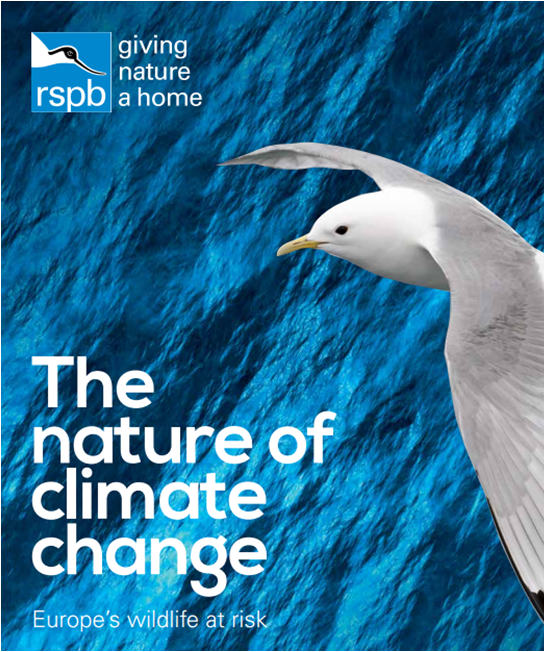 As UK negotiators, our Secretary of State for Energy and Climate Change, Amber Rudd, and perhaps even Prime Minister David Cameron prepare to head to Paris, I hope they'll be taking with them a copy of the new report the RSPB is launching today. The Nature of Climate Change brings together some of the most compelling scientific evidence on the effects climate change is already having on Europe's wildlife. You can have a read of the evidence and summary reports here. The evidence is very clear: climate change is already affecting wildlife, and the impacts are only going to intensify over the course of this century, resulting in a much more challenging situation for nature. We're also today releasing the results of new polling by ComRes, showing that the risk to the natural world is the UK public's number one concern about climate change. 79% of us are concerned about the effect on wildlife, higher than any other impact of climate change. Our report is an update of one we produced (here) five years ago when we posed twenty tough questions and provided twenty rough answers. Since then there has been a huge increase in the number of studies about the impacts of climate change on wildlife and the evidence of changes happening now has grown: from extreme weather events to wildlife being forced uphill or northwards, the effects on our natural world are clear and they are already evident. There are some instances where it looks like wildlife might benefit. Climate change may result in exciting new colonists for the UK - birds like black-winged stilts and cattle egrets attempting to breed here. But across Europe as a whole in the coming decades, the picture is very worrying indeed. One third of Europe's bumblebees could lose up to 80% of their range by 2100. Kittiwakes, found at locations like the RSPB's Bempton Cliffs reserve, have been affected. The 70% decline they have suffered in the UK has been linked to climate change. 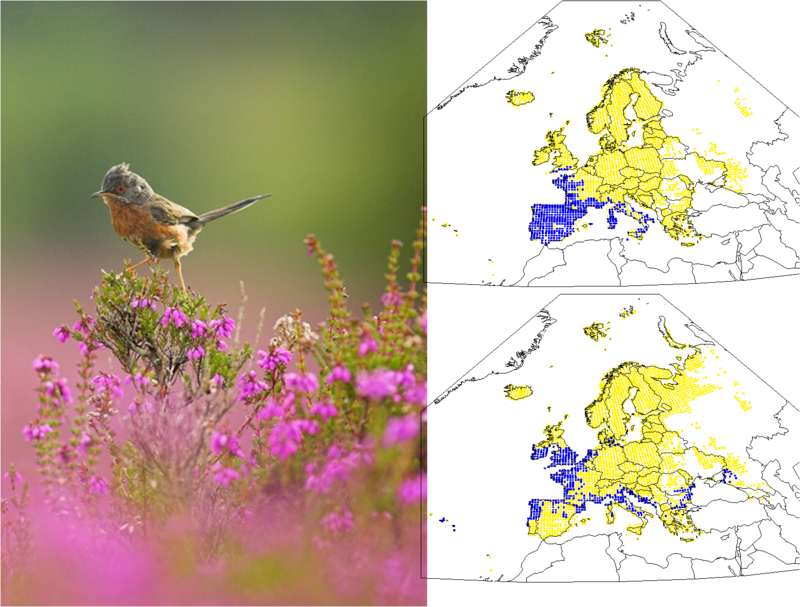 Thanks to heathland restoration and management, the Dartford warbler has managed to extend its breeding range much further through England in recent decades. But at the southern edge of its range in Iberia, losses in coming years due to climate change are likely to far outweigh those gains. The report also shows that nature is one of our best allies in helping both wildlife and people to cope with climate change. Restoring peatlands, for example, boosts cranefly numbers and in turn helps struggling golden plovers; it locks away carbon in the soil; and it can even help to improve the quality of public water supply. As world leaders head to Paris, I hope that the risks to our natural world will be front and centre of their minds as another key reason to negotiate an ambitious deal to limit climate change to no more than two degrees. And if you want to remind them of this, please do book 29 November in your diaries for the upcoming climate march in cities across the UK (here). The report has demonstrated another key finding too: that protected areas are already playing a critical role in helping wildlife to cope with the effects of climate change, and will continue to do so. Not only do we need to protect more space on land and at sea for nature. We also need to make sure the laws that underpin our protected areas are safeguarded. As part of the EU's Fitness Check we are calling for no change to be made that could jeopardise the Birds and Habitats Directives, our most important nature laws. In just a week or two, BirdLife International, the international partnership of which the RSPB is a member, will be publishing their own report on the impacts of climate change on birds around the world. This report, coming just days after ours, will add to the growing picture of severe risk to the natural world if we do not act quickly and decisively to limit climate change and to adapt to the impacts we can't avoid. I'll offer more on the progress and outcomes of the UN climate change talks on my blog in coming weeks, but for now I encourage you to read our new report. Martin, what worries me is whether we'll be providing the habitat for species as they move north. The massacre of migrants is a clear, emotional issue and I remember the campaigns for Turtle Doves way back in my youth - yet a bird that should be benefitting from a warming climate is on the way out in Britain and after braving the hail of lead it must be a bit of a let down for the doves that make it here. Similarly, Nuthatch are moving north as you might expect, doubly benefitting from our ageing woodlands - but Nightingale which you'd expect to be expanding are doing the exact opposite, retreating in the face of darker, more mature unmanaged woods. Even RSPB's excellent, intensive coppice management in places like Highnam in Gloucestershire is only just holding them, no doubt as surrounding population and productivity declines as habitat deteriorates. We can do something about some of these problems and CC only seems to heighten the urgency as our birds are assailed from all sides. You'll see a para in this where I say...We are more certain than ever that climate change is due mainly to human activities – The IPCC conclude that the “warming of the climate system is unequivocal, and since the 1950s, many of the observed changes are unprecedented over decades to millennia.” The global average temperature has risen by 0.85oC between 1880. Scientists are 95-100% certain that human activity have been the dominant cause of this warming. That’s about as sure scientists are that smoking causes lung cancer. I must say I've always been very very doubtful about a man made climate change. There is climate change happening, but in my opinion I doubt that it's man made.